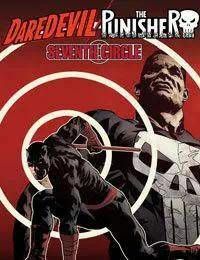 A simple change of venues for one of Matt Murdocks cases becomes more complicated when The Punisher attempts to send the defendant away...permanently! If Daredevil and Blindspot want to get this mobster his day in court, it will take every ounce of wit and wile they have. All Frank needs to get what he wants is a bullet. The race is on!